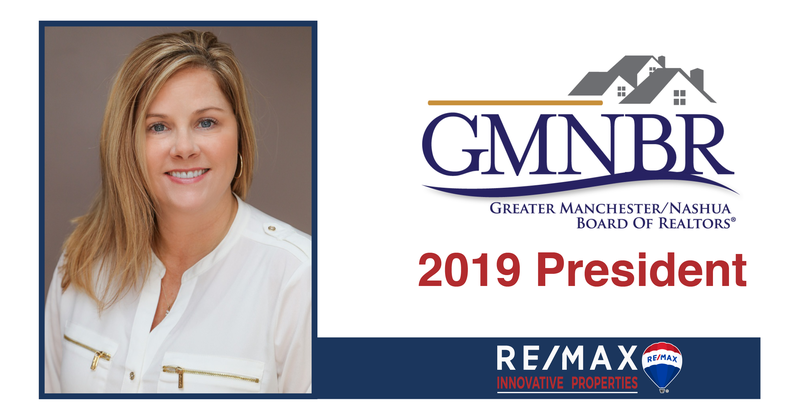 RE/MAX Innovative Properties own Kathy Snyder has officially been installed as the new President of the Greater Manchester Nashua Board of Realtors®. GMNBR held it’s 2018 Holiday Installation Ceremony on Thursday, November 29th. This event was conducted to commemorate the incoming 2019 Officers, Directors, and Committee Chairs. Opening remarks were given by 2018 President Kimberly LaFleur and the President Installation Ceremony for Kathy was handled by 2012 President Rick Stoudt. “She lists and sells real estate, mentors new associates, holds formal training classes and always has time for questions. She is a consummate professional. Kathy joined a very completive firm, worked really hard and rose to the top of the Company last year. She is the Mother of two, wife of one, has two beautiful German Shepards. I have enjoyed her wit, her offbeat sense of humor, her persistence, her style, her work ethic, her dedication to her clients and customers and to our profession and most importantly her friendship ever since.” Said Stoudt, who currently is the Managing Broker for RE/MAX Innovative Properties in Nashua. 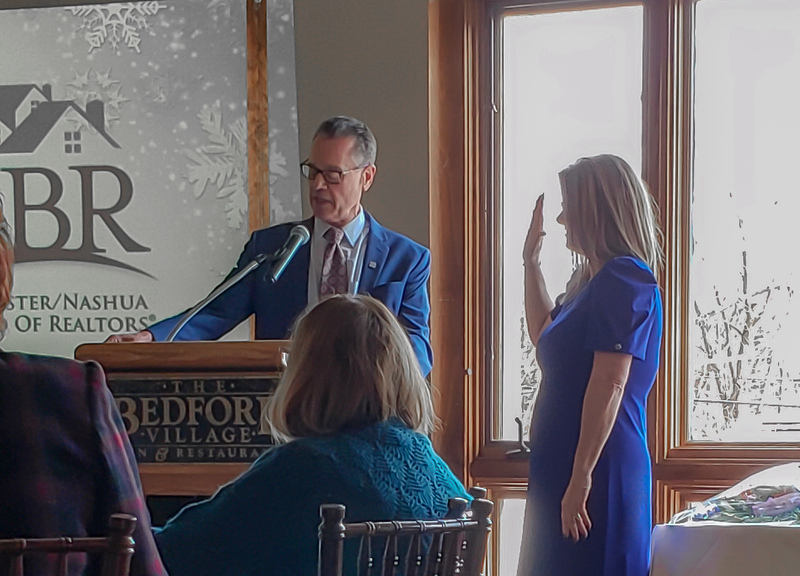 After her ceremony, Kathy performed the installations of the remaining 2019 Officers, Board of Directors, and Committee positions. Including 2019 Committee Budget/Finance Chair Derek Gilmore, a Sales Associate for RE/MAX Innovative Properties in Nashua. Derek has worked for RE/MAX since January of 2014. Kathy and Derek will begin serving in their new positions in January 2019. Rick Stoudt performing the Presidential Installation Ceremony for Kathy Snyder.